Your new conservatory will be manufactured from modern aluminium and PVC-U materials, built to last, guaranteed not to flake, rust, rot or peel, they are virtually maintenance free and require nothing more than the occasional wipe down with a damp cloth. With a variety of styles and finishes, our conservatories will complement your home perfectly and provide you with an extension that you and your family will enjoy all year round. 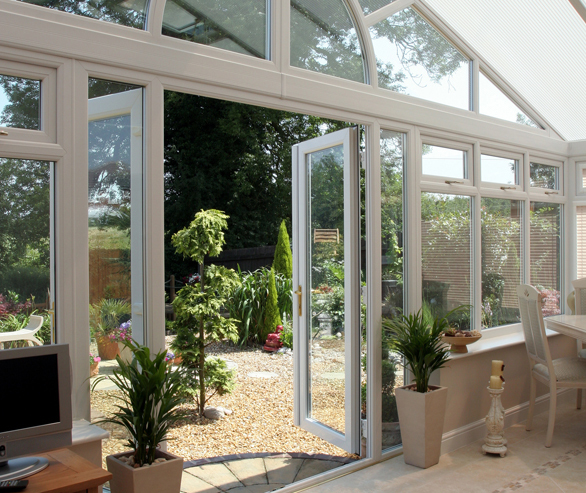 The interior design of your conservatory is so important – you need to ensure your dreams and aspirations come true! Whatever style is right for you, just add the furniture, fabrics, lighting, heating and flooring to create an atmosphere to dine, work or just relax in. New designs in furniture and trends in blinds, accessories and flooring has meant that a conservatory is not just an extension, but an extra room, a room from which you can enjoy light, space and your garden. 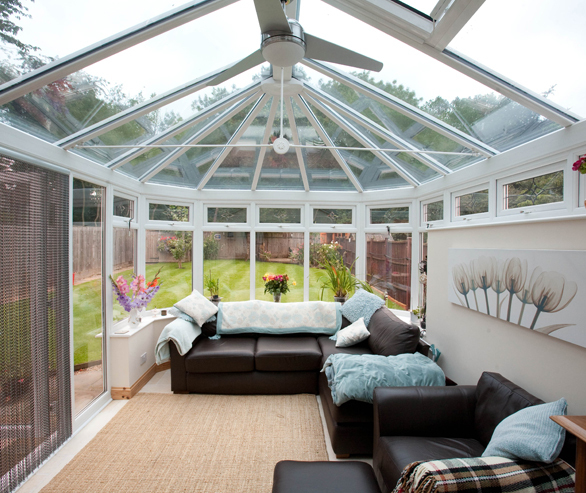 By choosing a conservatory roof you are choosing the UK’s No. 1 roof system. It has been engineered for your peace of mind and has been exhaustively tested to ensure that it is robust, durable and long lasting. Using state-of-the-art design software, each conservatory roof system is designed to take conservatories to the next level and is only limited by your imagination. Our roofs have been tested and have been passed by the British Board of Agrément (BBA). 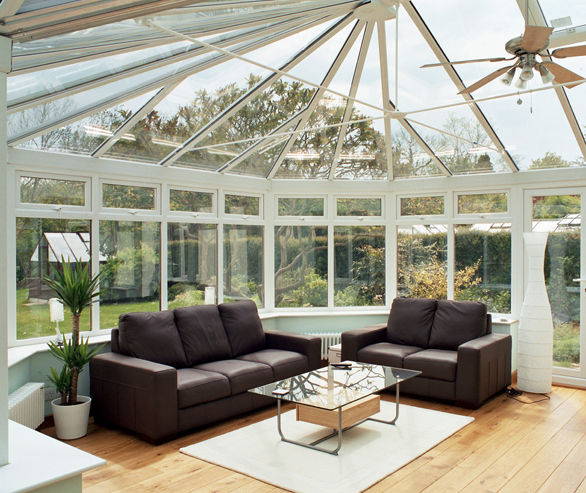 Whatever your house style we can design you a conservatory which will suit your home perfectly. To follow are some examples you could choose from. The Georgian and Edwardian conservatory will allow your new extension to flood with light due to its high roof style which gives the room a bright and airy feel. With its flat front and rectangular/square shape, the conservatory ensures no wasted space, so plenty of room for your furniture, plants or new kitchen. This style of conservatory can be installed onto any property, but the styling is best showcased on properties with existing Georgian or Edwardian architecture or features. 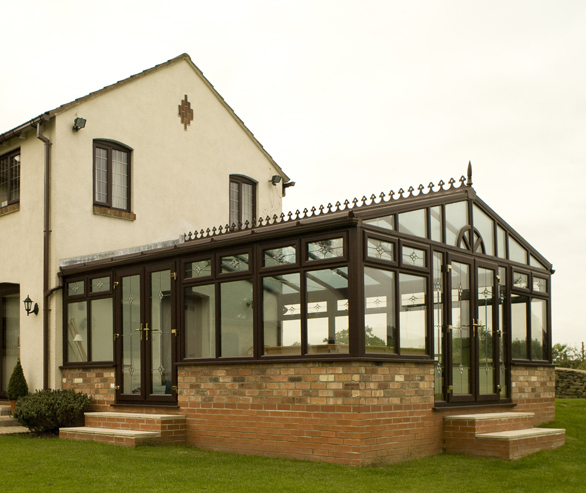 The Victorian conservatory is a timeless design that adds a touch of elegance to your home. 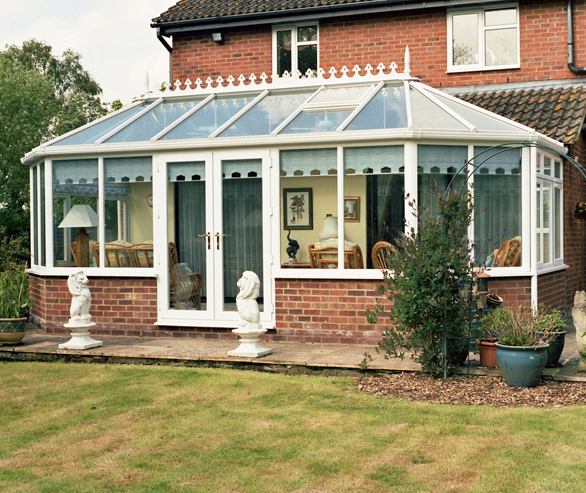 Victorian conservatories typically have a 3 or 5 panel faceted end which gives them their unique look and charm. This multi-faceted bay gives excellent all-round views and can help extend your enjoyment of your garden, as you watch the changing seasons from the comfort of your new conservatory. 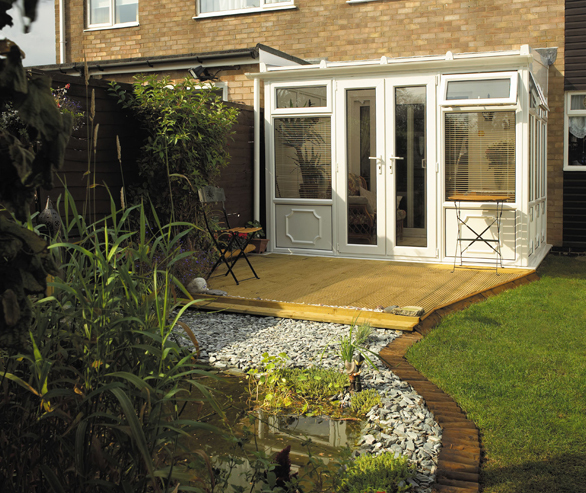 The Victorian conservatory also provides an elegant way to soften the transition between your house and garden. Gable style conservatories have two sloped roof sections ending in a vertical gable end, like many house designs. The Gable style of conservatory works extremely well with older properties, and can help to echo the style of the main building. With a sense of architectural grandeur, the Gable end conservatory offers a light and airy design, additional headroom and excellent use of the available internal floor space. The Lean-to style of conservatory is usually rectangular with a roof that slopes away from the property. The effect is modern, uncomplicated, with clean and simple lines, making them suitable for all house designs. A Lean-to is often referred to as a sun room or garden room, and is an ideal style for properties with a limited amount of space. The pitch of the roof is variable so it is able to fit under low roofs, such as commonly found on bungalows, or with a steeper pitch for a detached house. 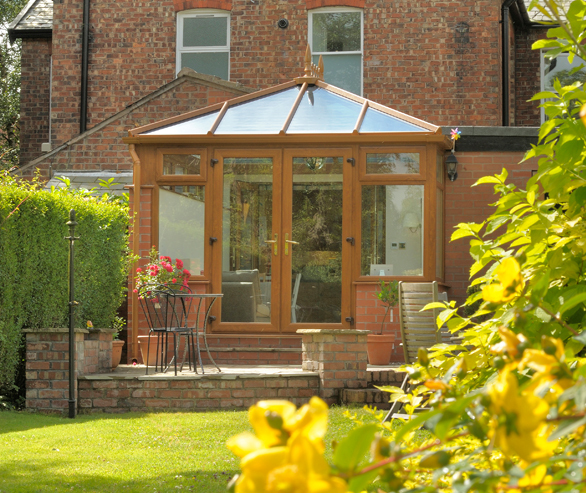 By combining a mix of conservatory shapes you will be able to achieve more space and greater levels of flexibility – why not add a Lean-to to a Georgian, or a Lean-to and a Victorian, with a 3 or 5 faceted front? Whether you are wanting to create a P or T-shaped conservatory or something more unusual, such as a raised lantern roof design, we will handle the whole project for you – from design through to project management and build. 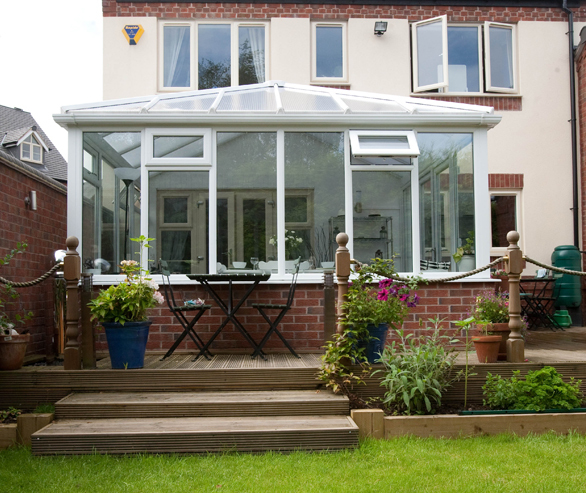 Leaving you with a custom-made conservatory perfectly suited to your individual requirements. Get out of neutral! 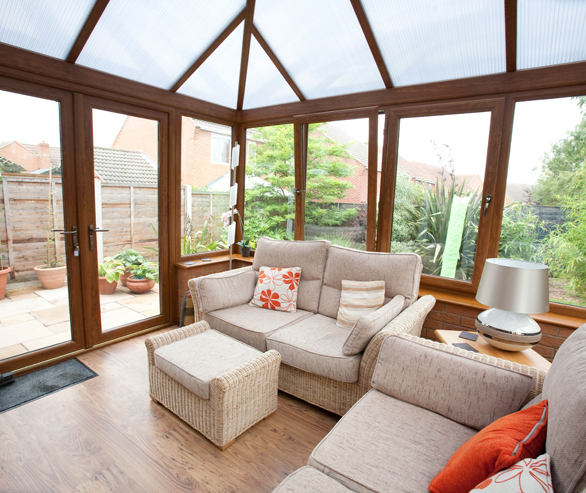 Add warmth and style to your home with a range of coloured conservatories. Coloured frames offer an authentic alternative to timber-built ones, but without the associated problems of high maintenance and of course cost. The colour revolution has taken over Europe over the last 20 years, with 40% of European homes choosing a coloured product… and the UK is catching on fast. White is still the most popular exterior and interior colour on the windows of Britain’s homes, but more and more people are personalising their homes to suit their style. Why not have a woodgrain finish on the exterior and maintain White on the interior? Bring your home to life with colour and style. For a more creative look, choose a coloured finish from our Artisan range.